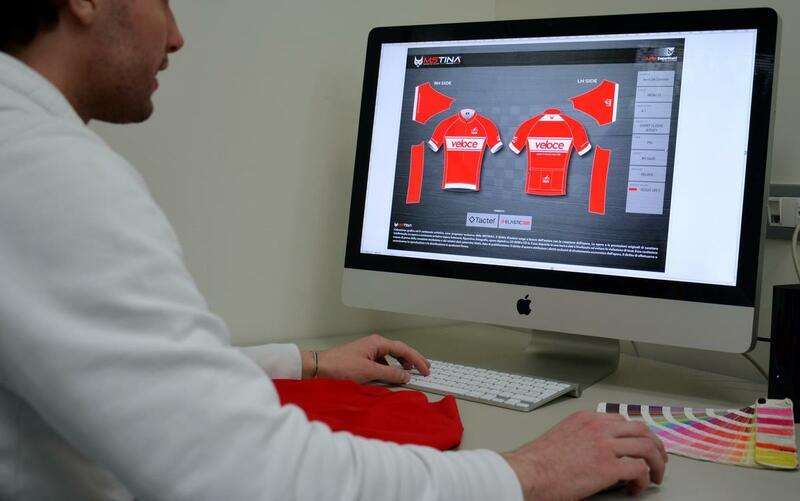 Veloce ® cycling and bike rental company : Veloce cycling clothes backstage ! Pictures from Veloce Collezioni® backstage. In this photo MsTina designer are working on Veloce Collezioni®, a collection of the finest clothing for sport and leisure produced by Veloce with great respect for a long line of family tradition since 1928.